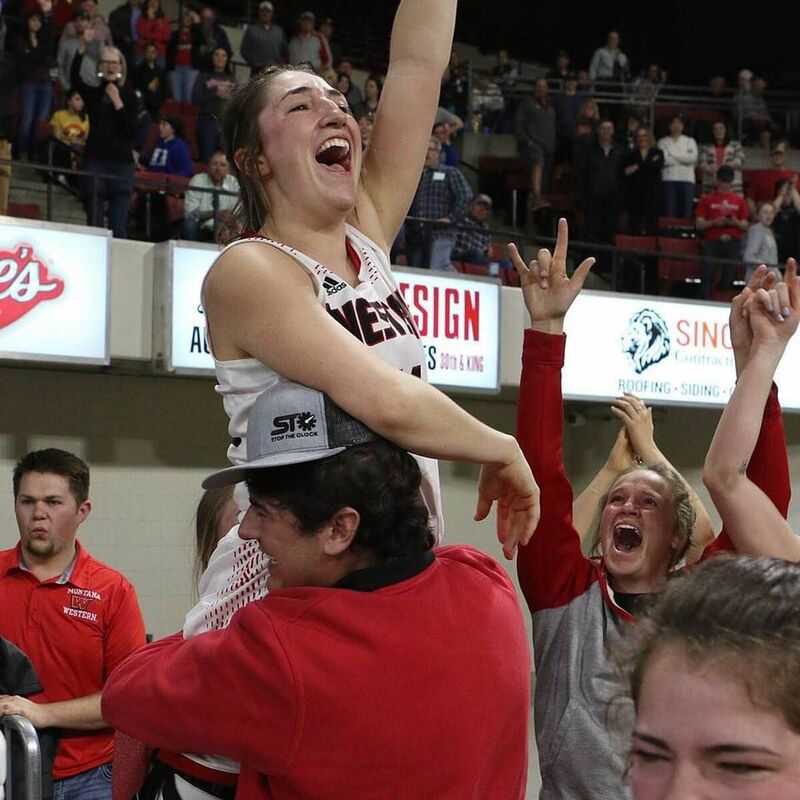 Montana Western's Savanna Bignell celebrates the team's national championship victory over Oklahoma City. 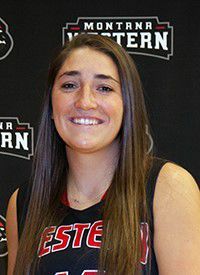 Savanna Bignell, a junior for the Montana Western women's basketball team, recently helped the Bulldogs to the NAIA National championship. Last weekend in Billings, No. 4 Western defeated No. 10 Oklahoma City 72-59, while claiming the Frontier Conference’s first-ever national Division I women's’ hoops title. Bignell, a 5-foot-6 Capital High product, served as Western’s first player off the bench as she helped the team to a 30-4 record. She played this season with a knee brace due to a damaged ACL, but still averaged about 19 minutes in 31 games. She ranked No. 4 on the team with 39 3-point field goals and 35 steals. Bignell was the team’s fifth-leading scorer, averaging 6.7 points per game, while compiling 81 rebounds and 48 assists. Among her best games during the regular season were a career-high 19 points versus College of Idaho; 15 points and four steals against Salish Kootenai; 14 points, four rebounds and six steals versus Rocky Mountain College; 13 points and five boards against Corban (Oregon) and five assists versus King’s University. At Capital from 2013-16, Bignell was part of three top-four placings at the AA tourneys, highlighted by the 2015 state crown her junior year. A two-time second-team all-conference selection, as a senior she averaged 7.5 points, 5.1 rebounds, 3.3 assists and 2.1 steals per game. The versatile Bignell graduated with 10 total varsity letters – four each in basketball and track, and two in volleyball. The daughter of John and Tana Bignell of Avon, Savanna is majoring in physical education at Western. Last year with the ‘Dawgs, Bignell was part of Montana Western’s first-ever trip to the NAIA Fab Four, and netted a season-high 14 points in the tourney’s second round win over Campbellsville. In Billings earlier this month, she scored 21 points in the national tournament, including 14 in the opening round win over Georgetown, and three in the championship game. She also posted 19 rebounds (six versus Georgetown), 12 assists (three against Freed-Hardeman University) and five steals (three versus Lyon) during her play in RimRock Arena’s MetraPark. So how did it feel to win the national championship?